The basic structuring element in the greenway plan is the concept of a linear park system extending along the White Lick Creek. This concept incorporates several existing park facilities into a cohesive system that takes advantage of the opportunity to utilize undevelopable portions of the floodway for a productive public purpose. Hummel Park, Anderson Park, Swinford Park, Friendship Gardens, Franklin Park and the Plainfield Recreation & Aquatic Center are all located in or adjacent to the White Lick Creek floodway and are all linked by the north/south White Lick Creek Trail. The Vandalia Rail extends east and west along the old Vandalia Rail bed. The Sugar Grove Trail extends west from Hummel Park to include several subdivisions, plus other spurs have been provided to insure that everyone in the town has access to the trail system. Overall the Town has 20 miles of trails. The linear park concept is a small part of an overall Greenway Plan for the Town that includes trails, sidewalks, and paths linking parks, schools, libraries, businesses, and residential areas together. Ultimately, this path might extend as far north as Avon, as far east as Indianapolis, and as far south as Mooresville. Plainfield and Guilford Township continue to develop public spaces as community gathering places. 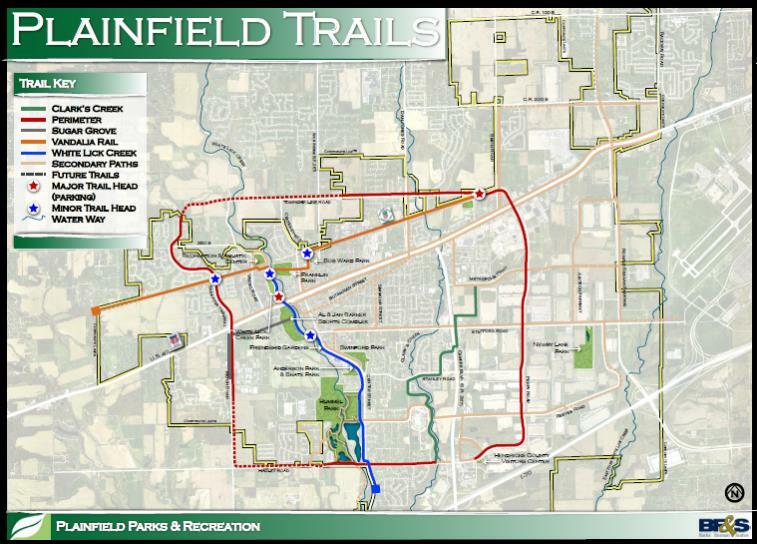 In April, 1997, the Plainfield Town Council conducted a public workshop to receive citizen input on expansion and improvement of the biking and hiking trails that presently existed in and around the Town's parks. 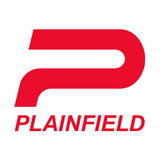 As a result of that input the Plainfield Comprehensive Plan was amended in August, 1997 to include a Comprehensive Greenway Master Plan component.